It’s fall and Halloween is upon us, so who doesn’t like a good scare? Well…when it comes to tricks and treats, small business tax prep doesn’t sit well in the trick category. When doing your taxes, there are plenty of different methods that can be used to create the most favorable outcome possible for your specific tax situation. Sometimes though, certain things that may seem beneficial could come back and bite you. These mistakes can cause a scene that even the scariest of movies couldn’t imitate: a tax audit. Yes, we hear that woman screaming too. A tax audit is a nightmare that becomes real for a lot of business owners, especially those who don’t have a good accounting system in place. 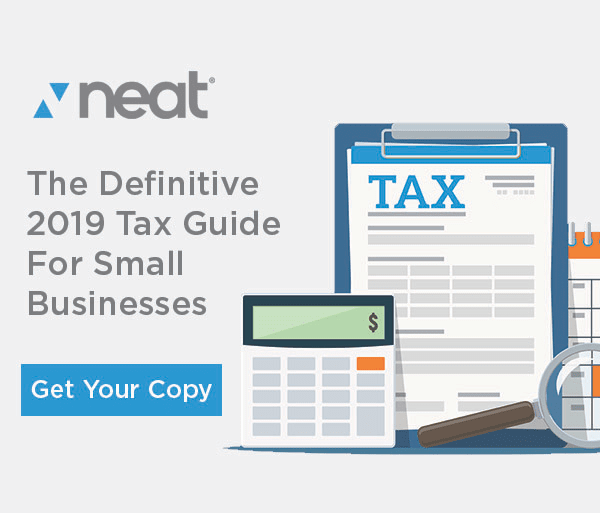 If you need to learn how to set one up, check out our definitive tax guide. Getting audited by the IRS is no joke. Not only is it scary, it takes valuable time away from running your business and gives it to the government. So, here are the top five tax mistakes that can come back to haunt you, and a couple of tips on how to avoid them. Mistakes happen, right? Sometimes, they even happen on purpose. This is one of those mistakes you want to look out for. “Forgetting” about some of your income seems like a good idea when you see how high your tax bill is. But everyone knows that leaving income of of your tax returns comes with one of the greatest consequences if you’re audited. Not only will you have to pay the back taxes from the amounts you omitted, but you will also have to pay fines and penalties. Always be sure to report ALL income from every source to maximize the integrity of your tax return. I don’t know many people who haven’t used this “Method” (We know: lots of quotes, but they are important). Trying to maximize your deductions is the name of the game in the tax world, but sometimes there’s temptation to get really aggressive with the deductions you’re taking (especially when you prepare returns yourself). Claiming that closet as a home office is something you may want to pass on doing, and claiming 100% business use of a vehicle may not quite be the truth (and happens to be a red flag for the IRS to audit your tax return). The IRS looks for certain things when deciding to audit tax returns (and yes, even e-filed returns get checked for certain red flags). Claiming excessive business expenses are like sending in your return with a huge AUDIT ME watermark on them. Especially if you are filing a Schedule C for your business, you want to make sure that your business deductions make sense. The best way to do that is to keep track of your expenses throughout the year so that you know what was spent and for what purpose. Here is another fun one that the IRS will not stand for. These are some of the main deductions that business owners are excited to take, but beware! The IRS sees large deductions for business meals and entertainment as a sign to hold a magnifying glass up to your tax return, or worse, send one of their people to knock on your door (there’s that lady screaming again). Take your trip, but make sure there is a business purpose for it and that you aren’t overdoing it with the entertainment. This is the biggest mistake you can make. Let’s say the worst happens: you’re audited. The IRS is looking for proof of every dollar you spent that they deem “unreasonable.” Having proof of everything you did that year (even if it was a few years back), is a stake to Uncle Sam’s heart, and a quick way to end things. Use software that helps you keep your receipts and other documents. If you do that, you will have them ready and organized if the IRS comes knocking at your door. At Neat, we even have a cool app that allows you to document receipts while you’re out in the world. That way, you can easily and conveniently update your records and keep Uncle Sam at bay. So as much as you may want to use some of these “techniques” to achieve a favorable outcome, don’t. Plan ahead of time on how to make your tax situation beneficial (like during the year) instead of trying to be aggressive with your tax forms after it’s over. 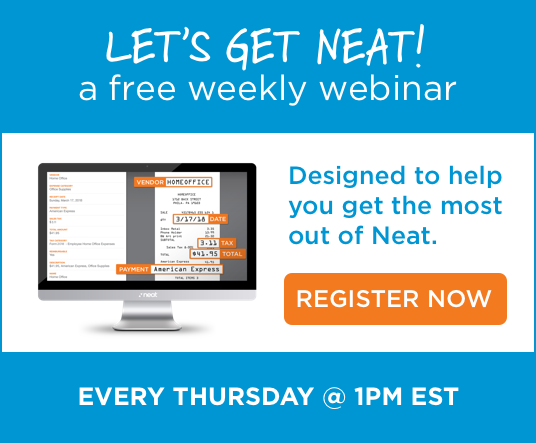 Starting a 30-Day Free Trial with Neat is a great way to start preparing and planning for your taxes the right way so that you aren’t tempted to make some of these mistakes. Maximizing the integrity of your return is a sure fire way to keep your stress level low during tax time and to keep Uncle Sam in that dark hall closet with the barricade on it that we don’t touch. When Should Your Small Business Hire a Bookkeeper?